Hi and thanks for reading today! Today is the third (and final) installment of my blog roll, the collection of bloggers that I read on a regular basis. I hope you enjoyed the other two installments, Part 1 - Most Artistic and Class Clowns, and Part 2 - The Home Ec Heroes and The Sensitive Types. If you haven't read them yet, go ahead, click over. And then come back here for Part 3! The last two categories of bloggers I follow are Family & Lifestyle, and Faith. Go ahead: find some new ones! Do you have a family? Do you have a lifestyle? Then this group is for you. Now, look. Some of these bloggers can easily fall into other categories (some are hilarious, some are heartfelt, some post recipes), but the overarching theme in all of these blogs is LIFE, whatever that looks like for them. I like these bloggers because I can relate, which means that I use the word “relatable” a lot when describing them. Really, is that so bad? I don’t think so. 154 Hidden Court. I just found MJ. She is an at-home mom of two boys who writes about her life with eloquence and pitch-perfect descriptions that I can fully relate to. She used to work as a bookseller, which means that she is well-read, a quality that I aspire to have but just can’t get there. She is funny and poignant, shares memories and recipes and blog information and more. I just love her. all.things.fadra. Fadra is a blogger that I’ve been following for a while. I’ve never met her, but I feel like I do – she has just that sort of friendly personality that comes through on her blog. Fadra writes about her life (with son and husband), her interests, the products she uses, and the quests she goes on in a way that is very influential, kind of like that friend you have who seems to have her finger on the pulse of everything that is new and exciting. Angie Kinghorn. Angie is a mom, wife, former lawyer, and writer whose short stories are published in several anthologies, and she also guest writes on other blogs and I’m wondering if I’m even qualified to be writing a blurb about her blog, she’s so pro. Her story-telling style about loss, the Tooth Fairy, and other varied family life topics are so entertaining and told with a gentle self-awareness that makes you want to read more. Lucky duck. You don’t have to look far to find her. Co-Pilot Mom. Kim’s blog focuses on her daily life with sons Captains Alpha and Bravo, and Co-Pilot Dad. Isn’t that the cutest? She hails from Canada and writes with a reflective style that also makes me think about similar experiences in my life. I can usually relate, which means that what is meaningful to her is also meaningful to me, but she always seems to uncover an aspect about her subject that I have never thought of before. Kim makes me think. And that is a good thing. Deborah Gilboa, MD,Dr. G. Dr. G, a family physician from Pittsburgh, is a parenting guru who provides every kind of information possible, in every way possible (writing, video, speaking) about parenting issues that we all face. She is a parenting expert, and her speaking engagements, TV appearances, blog, and videos all revolve around parenting topics that she, a mother of four, deals with, too. I love her short parenting tip videos, and the email I get in my inbox every day asks “Kids Not Perfect Yet?” before tackling the next topic. It calms my frazzled nerves that Dr. G is just one mouse click away when things with the kids get real. Facing 40. Poppy is a girl after my own heart when it comes to issues with getting older, fitness, being a mom, and generally living life. As in, all of these things are realities, so get to it, and do it well, and here are some tips to get yourself in gear. She’s a great mom (she just took her tween daughter to a mall concert, reliving her own Tiffany days), funny, warm, matter-of-fact, full of information, and confident. I don’t know how she does it. No, really. I don’t. Founding a Father. Jimmy’s blog is from a dad’s view of raising girls, and his insights and sensitivity, not to mention deadpan delivery on topics like letting go of growing kids, conversations with his wife, and using the wisdom of Patrick Swayze movies in parenting (don’t ask. Just go.) make me think and laugh and nod my head in agreement. Jimmy’s blog is proof that dads really do know what’s going on, despite the overwhelming evidence at my house that they in fact do not. Genie in a Blog. Leigh Ann is a mom of adorable twins and one more little cherub, a wife, and a writer who writes about family life in a way that is sometimes funny, sometimes poignant, and always real. She just posted a recipe for muffins that reads like you were right in her kitchen chatting and standing idly about sipping wine that you found in her fridge while she bakes. Because that’s how Leigh Ann is. She is friendly, easy, and totally wouldn’t mind if you came over and drank her wine. At least, I think she wouldn’t. Gfunkified. Greta chronicles her family life in this upbeat blog that shines with positivity and oh-so-cute pictures of her four sweet kids. 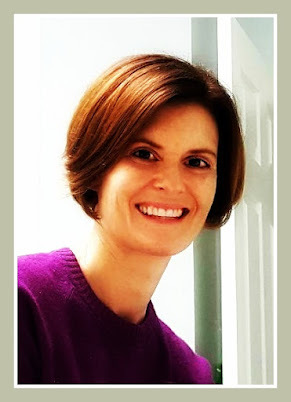 She does photo and writing link-ups that showcase other talented bloggers and writes about her involvement in worthy causes like the Leukemia & Lymphoma Society, and also shares ideas (and recipes) on living gluten-free. She focuses on the good, the fun, and the optimistic in her daily life and I need a good dose of that on a regular basis. Jennifer P. Williams. Jennifer is a wife and mom of two from Texas who shares her life stories with a lively humor and a lot of love and heart. She is truthful and straightforward – just the sort of person who you feel comfortable talking to and asking for advice, because she is confident in her abilities and just knows about things, you know? She posts recipes, DIY tutorials, and is even starting a feature on her blog where she actually gives advice to people. I can’t wait to see what she says. It’ll be great, I just know it. Just One Chick. Jennifer lives in Brooklyn and works in New York City and makes me smile with her pictures of city life and observations about life in general. Her posts are usually short and once in a while she’ll throw a really personal and heartfelt one in there and we get to know her just a little bit more. Sometimes she talks about NYC real estate which I find fascinating. I have no idea how I found her. But I’m glad I did. Lollygag Blog. Keely is so sweet and funny, I could follow her around and listen to her spin tales on a daily basis. Good thing she’s a blogger, because that’s what I do. Whether tripping over her words in a conversation with a Spanish gentleman in the grocery store, or showing us how she transformed her daughters’ closet into organizational heaven, Keely brings the funny to everyday experiences with her man and her two girls, and makes me smile every time. And her pictures! Just follow her. Mommy Miracles. Laura is that friend who knows about just about everything. She teaches you how to survive daycare, shares how she organized her home office, the birth-control benefits of moving. And she does it in such a friendly and confident way that I will take her advice about all of it. She also shares life with her three boys (two sons and husband) with such a relatable style that you just know that you could tell her anything and she’d respond with “girl, I KNOW.” Okay, maybe she wouldn’t say “girl.” But you get the picture. Mommy of a Monster and Twins. Natalie’s life with her small children has to be busy. I don’t know she finds time to blog. But she does, and she shares family outings, quick dinner recipes, gardening, and everyday stories in an easy style, you imagine she must wave her hands in the air and things get done. But of course she doesn’t. She shares her own struggles with depression, too, so you know she’s a real person with a real life. She’s just a great person, and I’m so happy I know her. My Time as Mom. Jessica is a mom of two beautiful girls. She homeschools. She is a proponent of green living. She shares delicious recipes. She shares parenting ideas. She’s a pole fitness enthusiast. She takes amazing photos. She loves cocktails - you might remember her from One Martini at a Time, which is her other blog that I introduced you to. Yes, I follow two of her blogs. If she had three or five or fifteen I would follow them, too. If it’s not obvious that she is awesome just from this quick-and-dirty description, then please check out her blog(s) and see for yourself. Because she is. Sellabit Mum. Tracy is a mom of three darling daughters who lives the city life in Minnesota. She is a runner, shopper, and all-around great mom (She took her kids to see Taylor Swift. What?) who humorously shares her family and life with us in a light, breezy way that makes you admire her for being so easy-going but of course she works very hard to make the magic happen. I love her storytelling style that feels like she’s sitting in the room with you, probably right at your kitchen table with a steaming mug of coffee. Sluiter Nation. Katie is a mom and English teacher who wears her heart on her blog and openly and honestly talks about everything – the love for her 3 boys (husband and two adorable sons), teaching, writing, depression, anxiety, loss, vacations. And that’s just the short list. She shares pictures that will make you smile, letters to her sons that will make you cry, and general musings on the joys in life that will make you want to know her more. Sunday Spill. Sarah says right on her blog that she is here to bring us joy. And she does that through her lightness, smiling children, and upbeat outlook, not mention gorgeous pictures of those incredibly adorable kids. She conveys her life in a heartfelt style that makes you feel that all is right in the world, that even during life’s down moments, there is hope for sunny days ahead. Who can’t use that kind of optimism? That’s Vandy. Brittany writes about her many interests on this wonderful blog, whether it’s making sorbet, planning a party, traveling to interesting locales (and sharing her packing secrets! ), even blogging tips. She shares her thoughts on everything from breastfeeding to bullying, and tells stories about her family. If you’re looking for information on a topic, she’s probably written about it, and has done so in a playful manner that is informational and encouraging. You might just learn something new, too. The House of Hendrix. The tagline on Allison’s blog reads “Where joy, imperfection, and grace abound.” That alone drew me to her blog, and her thoughts on life are encouraging, humorous, and empathetic. I can relate to her immediately on blog posts titled “6 Ways I loosened up to survive the early years of Motherhood” and “The Not-So-Perfect 1st day of school.” I love the way she combats the issues she faces – with hope and determination to make the best out of every situation that life has to offer. The Miss-Elaine-ous Life. Elaine is currently on a blogging break, but don’t let that stop you from reading her blog about the life she shares with her husband and three cute kids. She is a gifted photographer (Hello? how does she choose which pictures to frame and hang on her walls?) and writes blog posts about her days like little stories that you can’t get enough of. Her style is upbeat, funny, and always, always warm and relatable. She promises that she will post again. I’ll be waiting. World’s Worst Moms. Tammy’s blog is funny and self-deprecating, as evidenced by the title. I am convinced that she’s a much better mom than the world’s worst, and the opinions and topics she covers, while sharing fun stories about her kids and family life, are interesting and important. Whether she’s talking about how she feels about personal loss, her kids growing up, or national news events, you can be sure that you’ll come away knowing her clear views, and maybe even a different perspective you haven’t thought about before. Do you have faith? You gotta have faith. Now I’m no George Michael, but I am a Christian. Faith is a pretty big deal to me. I know I don’t mention it a lot here. I don’t have a good reason why. One might argue that my faith must not be such a big deal if I don’t lay it out on my blog regularly. And to that I say you have a point. My main thing is that there are a lot of different faiths in the world and I know that mine isn’t the only one, and I don’t want to prevent anyone from relating to me just because they don’t agree with my beliefs. My main purpose here is to share, and I am careful to share things that I think others can relate to. And plus, I do have a separate faith blog that you are welcome to visit, anytime. Jamie the Very WorstMissionary. Jamie is irreverent, funny, and real. She spent some time doing mission work in Costa Rica, and is not afraid to spell out just what being a Christian missionary looks like. She tackles difficult topics, and is unafraid to voice her beliefs and admit when she’s wrong. She’s also a mom, and tells stories from home that make me laugh and relate. She isn’t perfect, but also isn’t afraid to say so. I admire that, and always come away from her blog thoroughly entertained and informed about something new. Jessica Clemmer –Finding My Voice. Jessi’s blog is a mixture of family and faith, as is the case in life. She and her husband pastor a small church, and they share the leadership duties. That, along with raising their four children, makes her very busy and I don’t know where she squeezes out the time to write the eloquent, insightful posts that she does. Her thoughtfulnesss and knowledge of Bible stories and verses teach me so much, and she blends this knowledge with practical applications that anybody could adopt. Jessi is one of two bloggers on my list whom I knew first before the blog, having shared years of sons playing baseball together. She also got me addicted to chocolate-covered pomegranates. Isn’t it cute how I just threw her under the bus there? thumacha. Corie and Eric are a young couple who just recently moved with their two babies to Macha, Zambia to live as missionaries for Push the Rock, a sports ministry. I watched Corie grow up in our church and have been encouraging, praying for, and supporting her and Eric since they decided to take their lives to this African country where Eric spent his childhood. I started following their blog as a way to show support and stay connected to them, but I find myself waiting for new posts, because I’m so excited to see what’s next in their adventures in Macha. Plus, Corie is a really good writer, and her honesty about moving so far away from home, and the witty way she describes getting to know her new normal since they’ve been there inspires me, and makes me admire her strength and God-given faith. I just love them, and pray for all the best for their family. You made it! You made it to the end! And you’re still reading! That means so much to me. I hope you can click over to (more than a) few blogs I’ve written about here that intrigue you, and I would love if you find some new favorites from these lists. I’m not going to lie. This was an extremely difficult writing exercise. I referred to each and every blog here to remind myself exactly how they came to be on my reading list in the first place. Some, I was surprised to find, haven’t written a post in weeks or months. I hope I have given an accurate representation of each blog’s theme or point. I’m a little anxious about offending someone by missing the whole point of their blog, or putting them into a category that they don’t agree with (“What do you mean, ‘Sensitive Type?’ I’m totally hilarious!”). Some of these bloggers defy categorization and could easily fit into several themes. I agonized over it, but in the end I feel like I gave a true perspective of each one. Blogs are personal business, and the people who write them are real people. That should go without saying, but sometimes we forget that there are real people behind the words. Being a blogger means that you open up your life to the masses, and it can be a vulnerable, scary feeling. Even if you’re just telling jokes. But I really appreciate all these bloggers who take their time and pour their hearts and minds and lives into their computers every day. Because I have learned so much from them. So there you have it. All the blogs that I follow and read daily. Holy crap I need a life. i don't know if you watch stephen colbert - but when he mentions something on his show, he gives it the 'colbert bump' and it usually gets hugely popular. i may have just said i got the 'andrea bump' ; ) thank you, thank you. now come visit. Ha! I don't know if being mentioned here is the fast track to blogging stardom, but I'm happy to share. And to be mentioned with Stephen Colbert. I would LOVE to visit!! Thank you so much, Andrea! I know that this took so much work for you to do, and I love that you did it just to share the blogs you love. Thanks, Greta. And you're welcome! I love sharing great blogs. I am encouraged by all the people who say they have found new favorites! Oh wow - I'm honored to be on your list. I'm in such great company, too. You listed so, so many of my favorites. Thank you! I love what you said about there being real people behind the words. It's so true, and so easy to forget. Yes - such good company! That last part was written in a reflective mood as I was beginning to fatigue after reviewing and writing about blogs all week. I realized that every one of these people puts so much of themselves into their websites, and it gave me a renewed energy to finish the task. Thanks for being here! Another wonderful list, Andrea! And I am so honoured to be included in such wonderful company - thank you so very much. I love reading blogs for many of the same reasons you mention - it is so great to be able learn something new or find someone to whom you relate. Thanks Kim! And you're welcome. I have found such a great connection with so many bloggers over the past few years, and it has really enriched my views and life in a way that I never thought possible. Wow, Andrea you read all of these. . . . they all seem to be very intriguing reads also. Great job summarizing. . .. you're a pretty AWESOME Blogger yourself. Just reading the above piece is indication of that. It took a long time. After I hit publish, I said to my husband, "That's it. No more 3,000 word blog posts for me for a while." Don't get me wrong - I loved doing it. It was a great way to reconnect with my favorite blogs, and I found out some new things about each and every one of them. I never really noticed before that I rarely check out the "About" pages when I start following new blogs! I'm so impressed by the depth and breadth of the blogs you follow. Thanks for sharing them with us! Thanks, Tammy! It's funny - I thought all the blogs I followed were very similar, but each one is so unique - just like us. I love that! I love it. In my next life, when I have spare time, I'm going to check them out. No, seriously, your write-ups made me want to check out more than a few of these. And I'm way impressed at how well you keep up. Thank you! I hope you take the time to check a few out. They are all worth it - really! I cannot even imagine how much work went into doing this series of posts about your favorite blogs - a lot, I can say. There are so many terrific writers and people here, many of whom I read too, so yay! You're one big puffy heart/ soft teddy bear, you are. It did take a long time, and I was worried at the end that I'd run out of new things to say about each one. And there was a lot of editing, because I had more to say about the ones I was more familiar with. I hope I gave everyone a fair perspective. Reading these blogs is a much better way to spend your time online, than, say, playing Candy Crush or slapping sepia tones all all your photos in Instagram. Reading all your favorites all the time can become a full-time job, can't it? Thank you so much for including me. I'm honored. Whoooo wee that's a lotta blogs. But I'm making my way through, absolutely. You are right about that. That's what I was saying 2/3 of the way through this monster. But so worth it, I think. Thanks for sharing all of your blogs, and for including me! For faith, I have to suggest Jen Hatmaker. You may have read her viral post in the spring, the Worst End of School Mom ever. She's hilariously funny, but writes beautifully about her faith. I can't leave a comment! waa! Okay. Take 3. This was a true labor of love. Now I want to go read the two faith blogs I haven't read and then add yours. Oh, I'm so glad you made it through my extreme battery of firewalls! Yeah, I don't know why you couldn't leave a comment before. But I'm glad you did! Thanks for reading. And yes - please read those other faith blogs! Ah, Andrea...thanks so much for undertaking this project!! Since my long-time blog feed reader thingy went kaput, I've sort of decided to start fresh, eliminate some blogs that I had lost some interest in and add some new ones. Your list is a great resource for my new feed!! Thanks for the time you put into this, what with all the links and descriptions...wow! You weren't kidding when you said the other day that you read blogs like it's your job! I like knowing what other bloggers are reading, and it's making me reconsider posting my sidebar 'blog roll'. AND, thanks for the mention as well!! I'm humbled to be included in your list of much more time-worthy reads! I hope that you can find some new ones from these lists - I really enjoyed this project and the work involved, even though there were some times when I felt like I said the same thing over and over. Andrea! I'm honored and stoked and ridonkulously honored to be on this list. You rock.